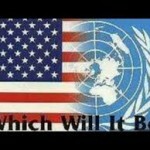 To Unite and Organize at the local level to stop the new UN Global police force. We can no longer depend on our politicians and government officials. We have to take care of ourselves. After you sign up bring in 2 friends. There is safety in numbers. Even if policing were not the plan for the U.N. Global Police Force, allowing any foreign military presence to base itself on American soil would require a treaty. 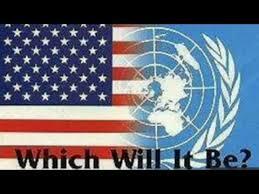 The U.N. does not hold any authority over the United States of America on our soil. According to Article 6, The Constitution and any treaties made under the authority of the United States are the highest law in the land. The only way this could pass a constitutional smell test would be for a treaty to be made with other nations, agreeing to this police force. Some history of FEMA in video. the Tea Party has yet to supply the nation with effective leaders of its own. Stewart Rhodes, Oath Keepers, calls for emergency summits by state. A series of anti-Islam protests planned in more than two dozen cities, including Phoenix, this weekend has prompted community leaders to urge Muslims to take safety precautions in case the demonstrations turn violent. Middle East – Islam Body Counts. As we continue to bring in Muslims from the Middle East and Africa we will likely see body counts like this in America in our lifetime. To Stop the Refugee Resettlement Program from bringing Muslims into our country. Six Palestinians were killed and many Israelis were wounded—including an Israeli teen stabbed with a vegetable peeler– as several weeks of violence in Jerusalem and the West Bank continued Friday, injuring hundreds and putting police on both sides of the border on high alert. Dutch citizens riot! Won’t stand by and watch cultural suicide! Geert Wilders is right, Europe is being invaded and it looks like the average Dutchman is going to stand and fight. The latest riot is over the Dutch government’s decision to give housing to refugees before Dutch citizens. Here Wilders warns the Dutch Parliament about the Hijra—the Islamic migration to Europe. LONDON, United Kingdom – Hundreds of Muslims flocked to Parliament Square today under the guise of acting against climate change. The demonstration saw a speech by an Imam, about how Muslims have a duty to try to “make Britain a better place”. My friend most British people are awake to this but our government has tied our hands, we cannot speak bad of them without fear of arrest or retaliation, we cannot arm ourselves in the UK, we cannot even shoot a bow and arrow, we are awake, our government is killing us!! !